Near the Château are various activities available. We inform you about the various options and the child-friendliness. Leaflets are also available. Chemin de Bonhommes (GR107) goes from Montségur to Berga in Spain. The Sentier Cathar from Perpignan to Montsegur. Of these two great routes you can also walk parts. Also with a horse or even with a donkey you can make day trips. Horses and donkeys can be hired. From the village are also several mountain bike routes of varying degrees of difficulty. amurac is on the D613, which is frequently used by cyclists. The D613 is a regular part of the Tour de France. Of course it is nice to make tours by car or motorcycle in the Pyrenees. The roads are adventurous and the view changes at every turn. This applies for spring, summer and certainly fall. In winter Camurac has its own ski station. Because of its small size you can here enjoy skiing without all kinds of crowds. This is ideal for families. There are three ski lifts and 11 trails ranging from easy to difficult. 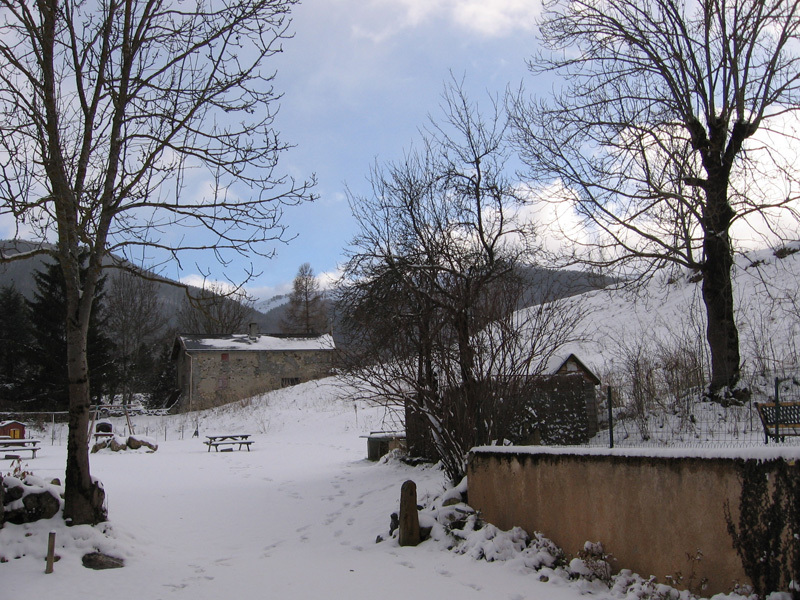 For cross-country many trails are maid and you can make great winter walks with raquettes. You can click these under your feet so you can walk right through the snow. In the village you can rent all sorts of things and there is also a ski school. With Andorra next door it is also possible to go to the more crowded ski areas. Camurac is also located in the area of the Cathars. This means several ruins and castles in the area that are worth visiting. The history of the Cathars is quite impressive. In summer, various festivals in the region are organized. Every week there is somewhere a "Fête Local". Definitely worth a visit. There are also several weekly markets that are worthwhile. The area also has many caves. The caves of Lombrives, Niaux and Labouiche are notable examples. In the caves of Niaux you can see cave drawings, in Lombrives you will find one of the largest caves in Europe and Labouiche you can visit by boat. Carcassonne, Foix, Toulouse and Pergignan for example. Andorra is less than 1 hours drive away and is a must. Pas de la Casa with all its shops, adjacent to the mountains. Even Barcelona and Lourdes you can visit for a day. For children there are also many fun activities. This allows you to a pre-historic park or one of the many animal parks, including a wolf park. But you can also go horseriding, riding with a donkey, swimming, rafting, canoeing, caving or geo caching.